Putting out the fires is only the beginning unfortunately for home owners there is still more to be fixed. This unexpected type of damage is more subtle that mold or water damage for different reasons. If you have had any fire property damage contact our services immediately to get an assessment of the situation and for best recommendations of what is best for you. Fires incidents involve various chemical activity leaving behind chemical residue that are hazardous to your health. Any residues from that fire can be toxic to one’s health and some even have been discovered to be strong carcinogens. 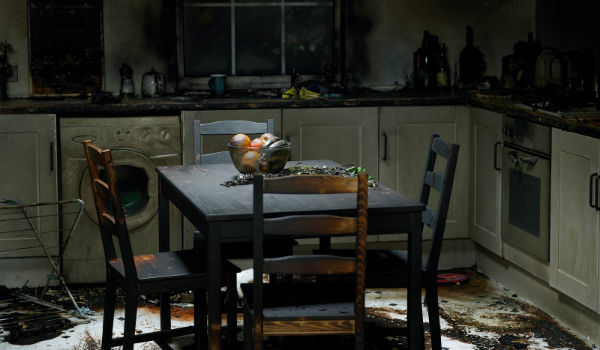 Leftover soot, smoke penetration, and leftover protein residue are the prime perpetrators of fires that will need professional services and top quality care. The CFI certifies our professionals giving them the rights and the training to restore and repair fire damages to homes and commercial businesses. . Our damage assessments look for any hazardous chemicals such as carcinogens, acids, and bases that remain in affected areas by the fire. Documentation: We record loss of home/business inventory which is often essential for filing insurance claims especially for businesses. File Claiming: Once the restoration is complete and accurate documentation of the data gathered is compiled, we send a copy of the documentation to your insurance company so that your claim is processed in due time. Timing: We will arrive quickly to your property and mitigate the problem once we get your call. Our team conducts a thorough inspection of the venue in order to analyze and choose the best approach for restoration according to your response of the initial assessments. For more information about services visit our Contact Us page and get your fire damages taken care of. Feel free to call us for any inquiries or information that you might need we are on call 24/7.